This week I talk with Stephanie Osborn, International Woman of Mystery who resides in Huntsville Alabama. Stephanie is a former NASA Rocket Scientist turned prolific author with many many books under her belt, as well as science articles. While talking about time energy and resources, i was lucky enough talk in depth about writing and her process. Some excellent tips come out in this candid interview. Definitely a dual brained individual, she is admittedly a polymath who worked as a scientist who then turned sci fi author. Stephanie worked with NASA for years dealing with the minutia of timing. Stephanie experienced and managed the transition to being a fiction author from being a litteral rocket scientist – how did she maintain balance? We talk about how writing charges and withdraws energy from her. 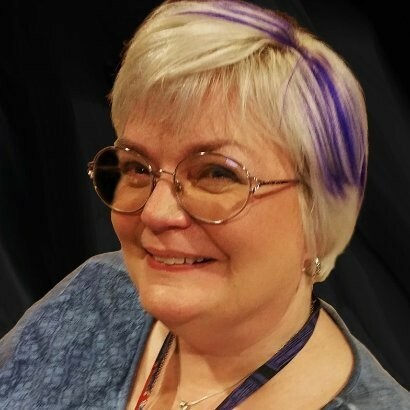 Transitioning from her NASA job to being a full time author certainly demonstrates both Life being a sliding puzzle and the difference between a career and a calling. Stephanie’s web site is http://www.stephanie-osborn.com. She writes a number of series such as the Displaced Detective series, the Burnout serious, the Cresperian Saga and many others. 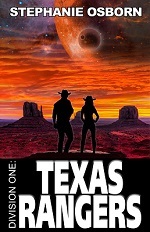 Her latest book in the Division One series is Texas Rangers. Her books are available at Amazon, barnes and Noble, and most book outlets. To be one of her ‘small dedicated fan base’ seek her out on Amazon, barnes and Noble and other sources.